There’s a new addictions counsellor at the Lighthouse, and she goes by the name of Leanne Murdaugh. 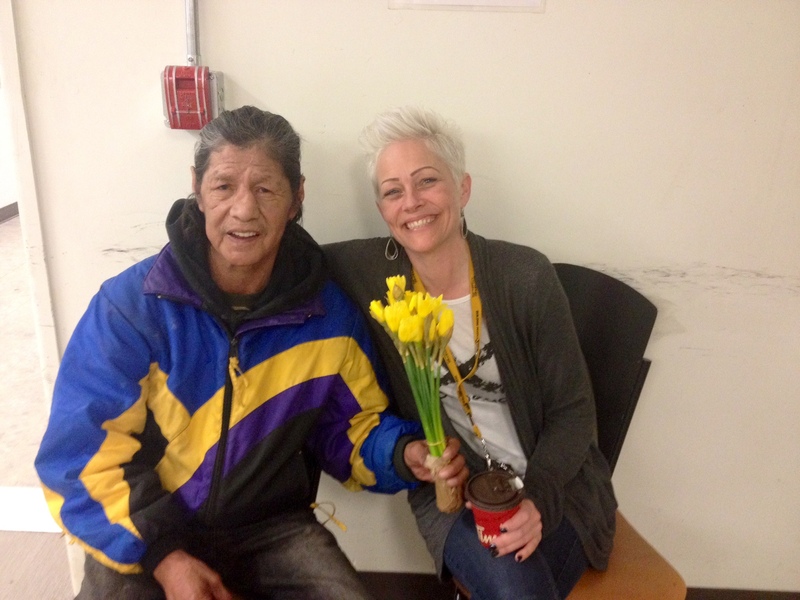 “She’s very respectful and kind,” says David, a client of Leanne’s, who visits the Lighthouse almost every day to connect with Leanne. David recently moved out of the Lighthouse and into a home in the community after staying temporarily in the shelter’s stabilization unit, which provides a safe place to stay for people who are under the influence of drugs or alcohol. Prior to the Region’s Better Every Day14 Day Challenge, the unit was open only at night, but as of March 2, it is now open 24 hours a day, seven days a week as part of a pilot project aimed at reducing emergency room visits by those seeking services that the unit can provide. A familiar face to the Lighthouse, Leanne worked in the stabilization unit, as well as the men’s and women’s shelters, for a year as a case manager prior to accepting her current role as addictions counsellor. Having an addictions counsellor onsite means that Leanne does not have to refer as many clients offsite for treatment in the community, where wait lists can exceed four to six weeks. Since the expansion of the stabilization unit, her recovery group numbers have increased, more than doubling on some days from six to 13. Leanne is not the only one who has noticed a positive impact on the clients who are accessing expanded services at the Lighthouse.